Origin Since Viking period (800 AD), Cod has become a vital economic aspect. In the Southern Europe, the dried cod market was developed. It lasted for above 1000 years. Cod fish belongs to the family Gadidae and genus Gadus. Cod fish shares the same family of monkfish and haddock. It is omnivorous and feeds on sand eels, haddock, whiting, squid, small cod, crabs, mussels, lobsters, mackerel, worms and molluscs. It is usually 51 inches long and roughly cylindrical in shape. The body’s color is greenish to brown with white belly and dense, flaky flesh. It possesses a mild flavor when it is cooked. It could weigh upto 55 to 77 pounds. Atlantic cod and Pacific cod are the two common species of Cod. Atlantic cod is found in cold water or deeper sea regions in North Atlantic whereas Pacific cod is found in western and eastern regions of Northern Pacific. 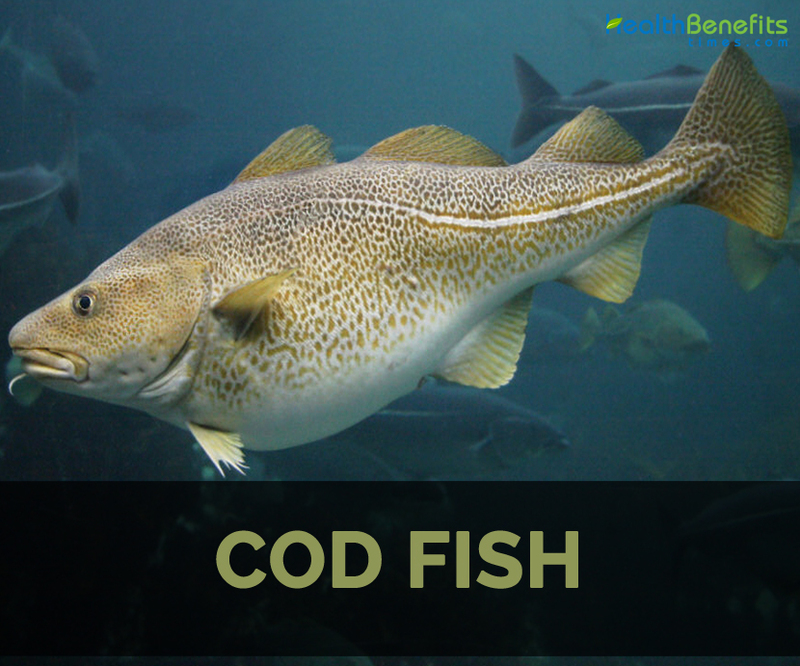 Cod contains ample amounts of Vitamin B12, phosphorus, selenium and protein. 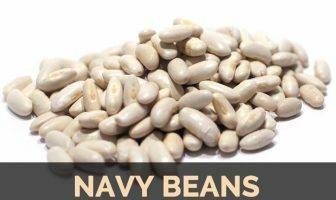 It also contains potassium, niacin, Vitamin B6, pantothenic acid, molybdenum and omega-3 fatty acids. Since Viking period (800 AD), Cod has become a vital economic aspect. In the Southern Europe, the dried cod market was developed. It lasted for above 1000 years. In the 15th century, Portuguese began cod fishing. Generally Clipfish was enjoyed as lot in Portugal. Basques have a vital role in Cod trade who found Canadian fishing banks previously the Columbus discovered America. The fish was vital for the State House of Representatives that they hung the codfish in a wood which was called Sacred Cod of Massachussetts. In 17th and 18th century, it becomes a vital asset to Newfoundland and Massachusetts. It is found in North Atlantic Ocean. It is also called as haberdine and codling. This cod is also called grayfish, gray cod and gray wolf. Pacific cod hunts crustaceans, fish, invertebrates and octopi. It is mostly found in Pacific Ocean. It is found in Arctic as well as Northwest Atlantic oceans and feeds on crustaceans, fish and cephalopods. Greenland cod is also known as rock cod, uvac and ogac. Haddock prefers smooth seafloor substrate and deeper water. It is found in North Atlantic and is migratory. In 85 grams, we could find 66.61 g of moisture, 71 calories, 17.36 g of protein, 0.21 g of total lipid fat and 1.13 g of ash. It also provides 34.72% of protein, 24.86% of phosphorus, 7.60% of sodium, 7.14% of magnesium, 6.72% of potassium, 3.36% of zinc, 1.78% of copper, 1.75% of iron, 1.40% of calcium, 0.60% of total lipid fat and 0.43% of manganese. Cod fish is loaded with ample nutrients and vitamins. It also contains Vitamin B3, B6 and B12. Moreover, it contains protein, Vitamin D and omega 3 fatty acids. It is also helpful for the diabetic heart disease or atherosclerosis patients. The daily intake of fish lowers the chances of heart attack and heart disease. Omega 3 fats and Selenium possess anti-inflammatory properties which help to lower inflammation that results in rheumatoid arthritis, asthma attacks, migraines and osteoarthritis. It has high content of mercury. It should be consume on limited amounts. Those who are allergic to seafood should avoid it. The livers of cod are used to make oil which is a great source of Vitamin A, E, D and Omega-3 fatty acids. The soft liver of Cod could be canned or consumed. It is widely eaten in Spain, Portugal, Brazil and Italy. It is also salted, smoked and dried. Mix cod with sautéed onions, broth, garlic, vegetables and seasonings to make a fish soup. Cook cod with tomatoes, garlic, olives and Italian herb. Cod could be poached by covering it with water and adding lemon juice and parsley. Let it simmer till the flesh becomes flakey and opaque. A steamed cod could be served in a large and shallow bowl by the miso soup. It could be garnished with chopped scallions, shiitake mushrooms and daikon. Cod could be baked in an oven by covering it with chives, chervil, tarragon and lemon juice. It could be broiled, baked, poached, fried and braised. The tongues and cheeks of Cod are used as delicacies. The large species could reach 220 pounds in weight. Female could lay up to 5 million of eggs which hatch after 8 to 23 days. Larvae are 0.16 inches in length and transparent. Cods mature at the age of 3 to 4 years. Atlantic cod has the lifespan of 25 years in wild. It liver for 15 years on average. Atlantic cod is also known as “sacred cod”. For an adult cod, humans are the natural predators. Calories 71 Kcal. Calories from Fat 1.89 Kcal. Calories 189 Kcal. Calories from Fat 13.95 Kcal. Calories 123 Kcal. Calories from Fat 122.4 Kcal.